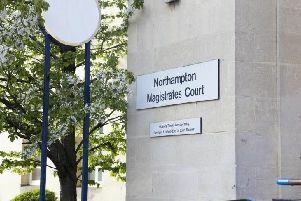 A boy was robbed and threatened with a knife in Northampton. The 14-year-old victim had been in the Ying Wa takeaway, near Hayeswood Road, in Lings, and began walking at about 10pm along a footpath near a wooded area in Billing Brook Road. An older teenager then called the boy over, at which point he demanded money, producing a small, black retractable knife. The victim handed over a small amount of cash after which the offender told him to walk towards a nearby basketball court. The robber then walked back towards the shop. The robber was a black man, aged about 17, 6ft, and of average build. He was wearing a grey hooded top with a white tick symbol across the front, grey jogging bottoms and grey Nike trainers. Officers would like to speak to anyone who may have witnessed the robbery or who may have any information regarding it.